A while back I was asked if I could present at the VMware Technical Support Summit and last week I received the agenda. I forgot to blog about it so I figured I would share it with everyone. I was supposed to go to this event last year but I had a clash in my calendar unfortunately. At this event organized by our support team you will have the ability to sit in some extreme deep dive sessions. Below you can find the agenda, and also here’s the registration link if you are interested! 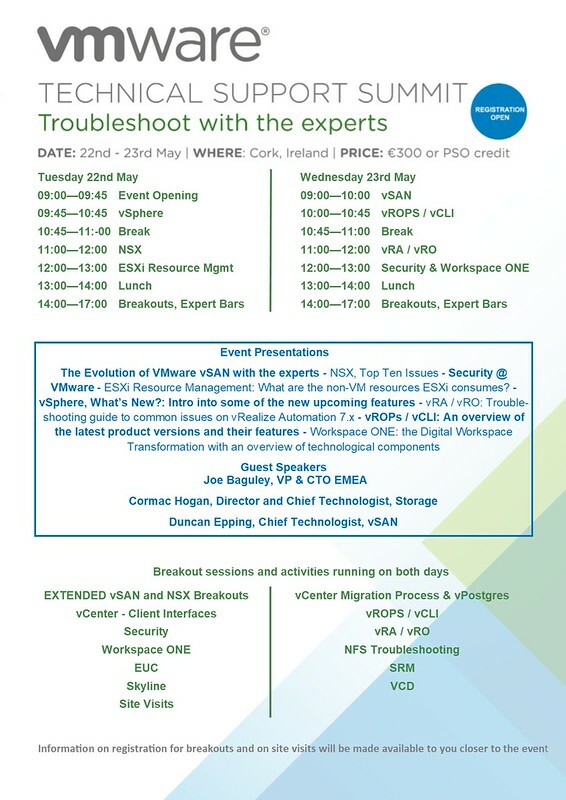 Note that Joe Baguley will be doing a keynote, and Cormac Hogan and I will be doing a session on vSAN futures!